Elegant and clean exterior design enables this sectional sofa to blend in with todays most coveted interior designs. Wrapped in excellent espresso leather quality to withstand daily use. 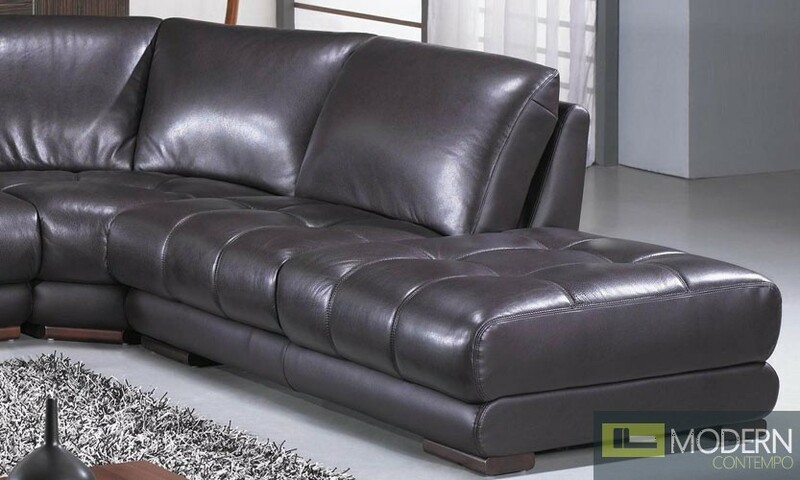 Tufted leather with minimal exterior design. Low profile contemporary look to make it more flexible with its surroundings. Customizable leather covering by special order. Sectional Sofa 120"x109" 40.5" 33.5"